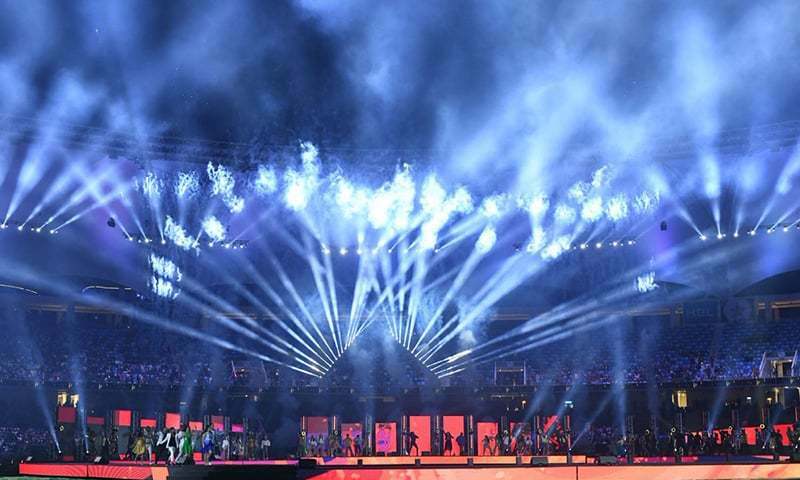 The opening ceremony of Pakistan Super League 2019 took place at the Dubai International Stadium on Thursday. The national anthem of Pakistan marked the start of the event before Ramiz Raja, always the MC, took over the microphone. Pakistan Cricket Board Chairman Ehsan Mani acknowledged the contribution of UAE's cricketing authorities and main sponsors for helping the board stage its flagship T20 league year in, year out. Sheikh Nahyan bin Mubarak Al Nahyan, the head of UAE's Ministry of Culture, Youth, and Social Development was also in attendance. 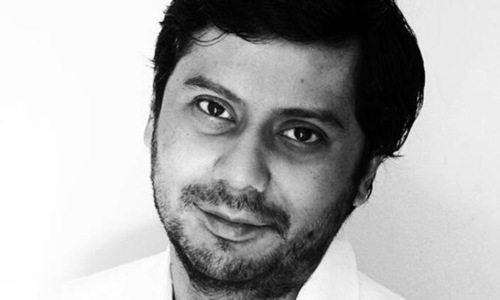 Mani made way for a marching band that played Europe's The Final Countdown — famous for being the tune of the 1992 World Cup, which the Pakistani national team won under the captaincy of incumbent Prime Minister Imran Khan. Euro-Caribbean Boney M were next. The highlight of their set was their trademark track: Daddy Cool. Pop sensation Aima Baig serenaded the audience with her rendition of Nazia Hasan's famous Disco Deewanay. She was also joined by Shuja Haider on stage. 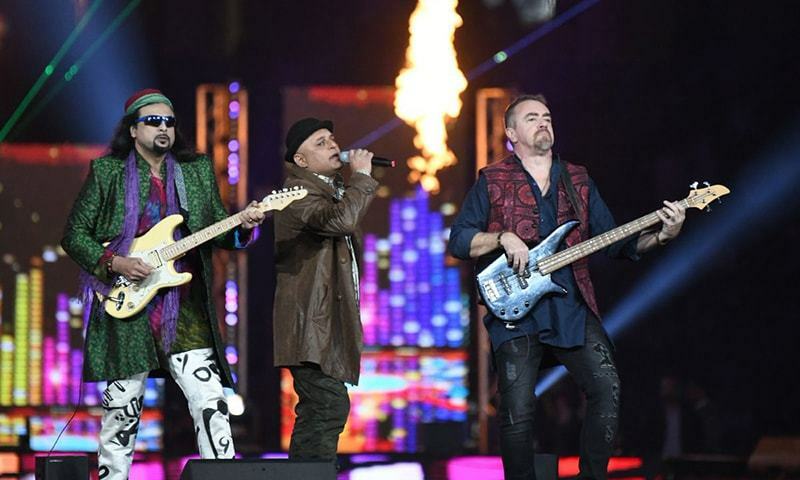 Legendary Junoon rockers Ali Azmat, Salman Ahmed and Brian O'Connell were the penultimate act. They kicked off their set with their smash hit Yar Bina before tearing into Heeray. The trio's lip-syncing session predictably ended with Jazba Junoon. Fawad Khan was the final performer of the night. He treated the crowd with the official PSL 2019 anthem Khel Deewano Ka. He was joined by rapper Young Desi for a cameo. As the duo performed, the six teams and their players walked out in the middle. The confetti rained, the lights flashed, the pyrotechnics took over — the 2019 PSL was officially underway. The notable absentee was American rapper Pitbull, who was supposed to headline the opening ceremony but had to pull out due to a "technical issue" with his flight. 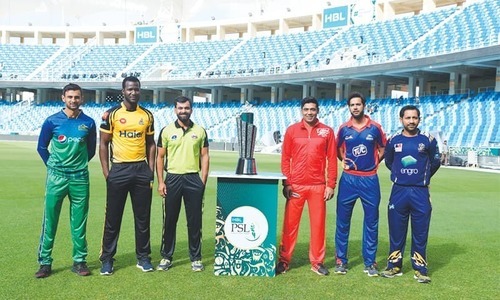 PSL is a T20 league featuring six franchises that represent six different cities battling for cricketing supremacy each year. 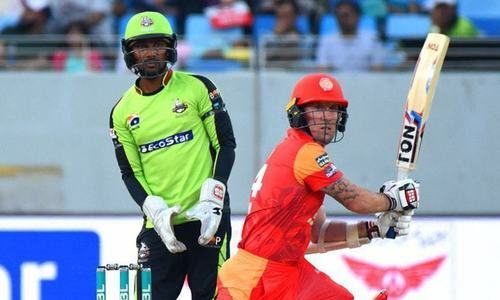 Islamabad United are the reigning champions and also the PSL's most successful side, having won both the inaugural and last year's events. 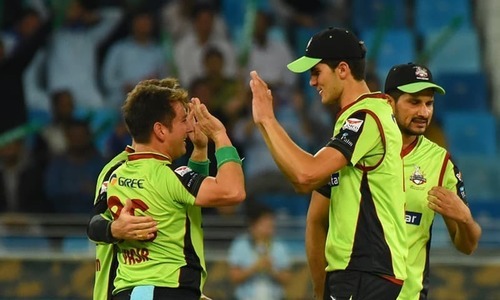 The opening ceremony will be followed by PSL 2019's first match, which will be played between United and Lahore Qalandars — the league's least successful side with a trio of bottom finishes to their name in as many years. Come this way to find out how Islamabad United and Lahore Qalandars match up against each other. I don't like PSL matches, it is wastage of time. This was better than expected. What starts well ends well and the starting with the band doing the final countdown song was excellent. Thank you Najam Sethi Sb. Miss you! All the hard work of Najam Sethi Sb! It should be called Dubai Cricket League. To empty chairs. Only parts of chairs are occupied and they are being repeatedly shown when the clowns danced. And pakistanis call this 4 studded and some insan fellows went on to say that ipl will copy. 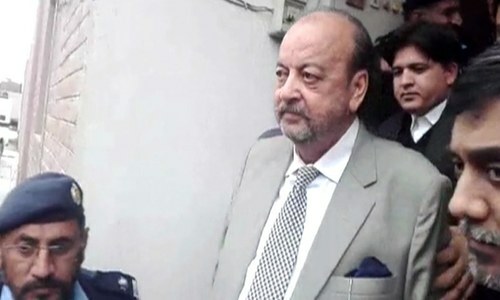 And their amir sohail and other fellow was talking about energy. I am sure they are talking about energy generated by lights and electric power with the marked absence of a full crowd. @Orakzai, do we really care about that? More than 60% of Pakistanis watch PSL which is incredible. @sialkoti malibu, - Pak can hold this event. but foreign players are reluctant to come. I think next opening and closing should be in Pak with or without the foreigners. Beautiful. Let’s hit the road jack. Stadium seems empty in the photos. 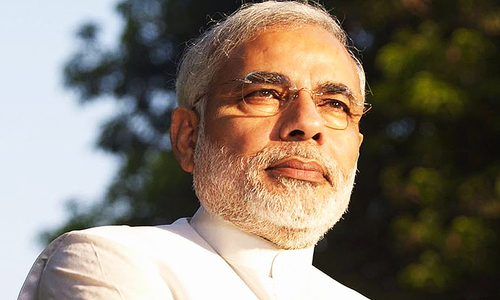 Can you hear the Indians and aghans crying? Wow not a single empty seat in the stadium!!! Wished such an event could have been held in Pakistan,Borrowed moment s,to be enjoyed by few ?? Dubai &Dubai such a waste of limited Forex . Congrats to PCB.... International cricket players are showing interest in PSL. 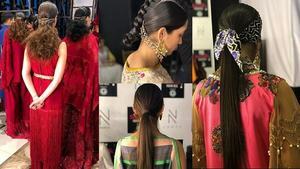 Junoon all the way! Best South Asian Band for a reason. @Visitor , Not everyone comes to watch opening ceremony. The stadium was packed for the main game, which you didn't see obviously. This is sad. PSL matches should be played in Pakistan not in Dubai. Why are we kicking of PCL in a foreign country, have you seen any IPL matches played outside of India? @Junaid, really playing on a foreign soil is a great day of your life? Will you please tell us how many showed up for the opening ceremony ? @Visitor , Watch the match highlights on YouTube, it was a full house. Not a single empty seat. This is not flop IPL. Many people made their way during or after the ceremony. 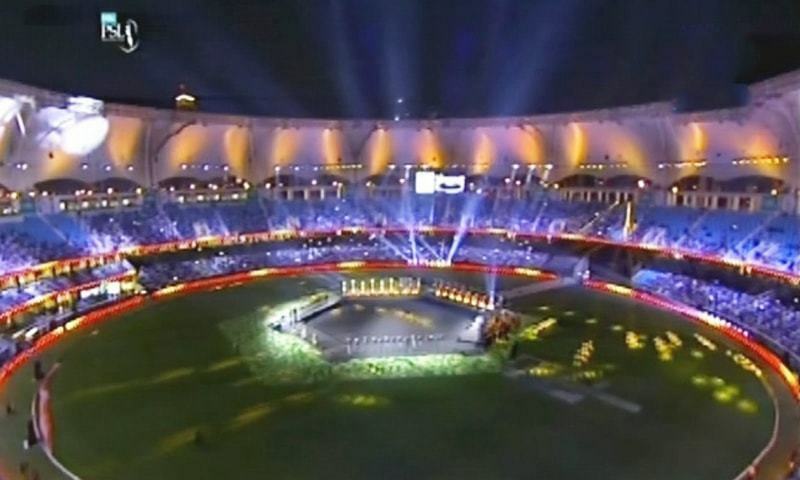 PSL 2019 OPENING CEREMONY was outclassed. Awesome performances by Ali Azmat, pop sensation Aima Baig and one of the most dashing personalities Fawad Khan. A huge grand opening with big crowd has been observed on 14th February 2019.